If you sign a power of attorney, you hand over control of all or some of your affairs to another individual. Chapter 700 of the Michigan Compiled Laws sets out the legal provisions relating to powers of attorney in the state. 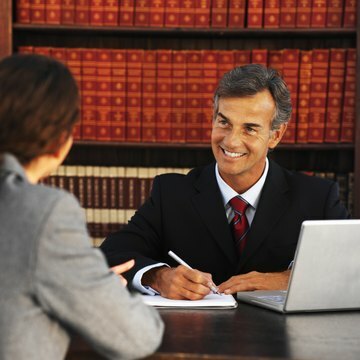 In most cases, the person who signs the power of attorney is known as the principal, and the person in whose favor it is granted is known as the attorney in fact. In Michigan, both the principal and the attorney in fact should be over the age of 18 when signing the power of attorney. The principal should sign the document in the presence of two independent witnesses. Precise terms of the power of attorney will vary according to circumstances: it may be limited to a specific task or a range of tasks, for example, completing a tax return or selling a property, or may be more general to encompass all of a person’s affairs. There is no statutory form of power of attorney in Michigan, and it is not required to be filed with the probate court. In certain states of the United States, a power of attorney lapses when the principal becomes mentally incapacitated. In Michigan, Section 700.5501 of the Michigan Compiled Laws allows individuals to create a durable power of attorney that continues, notwithstanding the principal’s mental incapacity or disability. To be effective, a durable power of attorney must contain specific words to make it clear that it is not affected by the subsequent incapacity of the principal. If you sign a power of attorney for health care, you appoint another individual, known as a patient advocate, to make medical and health-related decisions on your behalf. Both the patient and the patient advocate must be over the age of 18, according to Section 700.5506 of the Michigan Compiled Laws. Michigan law permits a patient advocate to make decisions on behalf of a patient if the patient is unable to make those decisions for himself, either on a temporary or permanent basis. At least two medical practitioners must attest that a patient is unable to make health treatment decisions. In the power of attorney, the patient may express his own wishes regarding medical treatment. The patient advocate may not agree to the withdrawal or withholding of treatment unless the power of attorney expressly allows him to do this. The Michigan Department of Treasury allows a taxpayer to complete a power of attorney to authorize another person or legal entity to represent him in tax or debt matters. The taxpayer must complete Form 151 to complete the authorization. In addition, a taxpayer may sign a limited power of attorney on Form 4300 to allow his mortgage company to contact the Department of Treasury for information regarding outstanding debts. Finally, the taxpayer may complete a Form 4095 to request that the Department of Treasury provide copies of tax returns to his agent. A power of attorney is a legal relationship in which one person, known as the principal, authorizes another person, known as the agent or attorney-in-fact, to perform legal acts on his behalf. In 2009, major amendments to New York's General Obligations Law became effective. These amendments significantly revise New York law concerning the content and execution of a power-of-attorney form. A power of attorney, or POA, is a legal document you create to appoint a trusted individual to act for you, generally in financial or medical matters. Your power of attorney cannot authorize anyone to act for your spouse, nor does your spouse have the right to terminate or alter your power of attorney.